The GodMode of Windows 10 is nothing else than a special folder with a stack of shortcuts (around 260) to tools and utilities. Many of these functions are already known and are available in regular control panel. 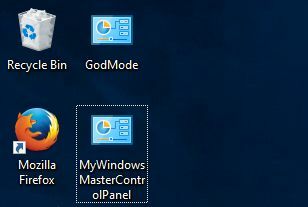 The GodMode is a hidden feature of Windows 10.